Thanks to all who attended tonight's HANA Meeting at Paceadvantage.com And a special thank you to Mike who graciously lets us use that chat room to, well chat. Tonight's meeting was well attended. And there were a great many excellent items thrown out for discussion. In the coming days and weeks we will be putting out some posts and releases (like the one directly below) about what we think the ADW world should look like, in the 21st century. 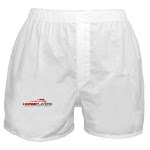 We want to achieve that elusive goal where there are four seats at the ADW table - tracks, horsemen, ADW's and the player. We envision a mechanism where all four will have their voices heard; and the model is setup with one thing and one thing only in mind - to grow the sport. All members (and blog readers) are encouraged to comment on our discussions and offer their own insight. The next HANA meeting will be next Wednesday night. If you would like to join HANA, just click the email link to the right (the "Become a Member" area), and tell us your name, city, state and estimate your yearly handle (handle not required, of course). We welcome anyone who wants to climb aboard. Really interesting meeting. Plenty of proactive thoughts. I am not sure if these issuea are mutually exclusive or inter-dependent upon each other in order to qualify or be considered for membership. 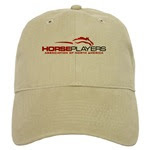 It is easy to come to the conclusion that horseplayers do not have the sway they should within the industry, as decisions are regularly made by other industry participants (legislatures, regulators, track owners, horse trainers/owners, and jockeys; and sometimes even the horses themselves; LOL) that not only fail to consider the general or specific concerns horseplayer, but will actually be in direct conflict with the horseplayers concerns. That being said; I am not sure if you will find unanimity around all of the opinions posted here, so as a result I am not sure whether this should be indicated as a condition of membership (real or implied), and you might want to re-consider how that is phrased. "If you agree with us, then you should join our organization" seems exclusive and resistant to divergent opinion. 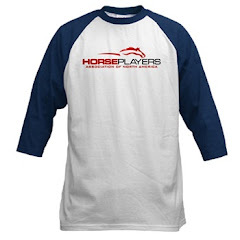 Yet believing that the horseplayer does not have the influence they should in the industry decision making process, seems more open to the idea that collective but a broader range of ideas and input can and will be considered. 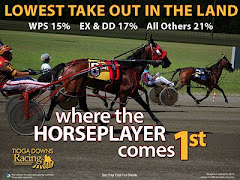 Some people view take out, as the number one issue for horseplayers, while others view the cost of attending live (parking, admission, programs, concessions,) as being a disincentive toward live attendance. Others that might rarely if ever visit the track these days believe that open access for all ADW's is critically important, while others might see some benefit to exclusivity at least as it pertains to video broadcast. Some might perceive federal regulation and oversight in the U.S. as more desirable, while others instead would view a move toward uniformity on some industry issues (race day medications), while maintaining a state by state regulatory model is more important for adressing local industry issues and concerns. There is a great deal wrong with this industry; and much which needs to be "fixed". The horseplayer is a voice that is far too often either drowned out or ignored in the process of considering or implementing solutions. Not all horseplayers are alike however; as evidenced by the recent "meeting" discussion, however different opinions on the same subject can lead to greater objective analysis towards what needs to be improved and what the priorities should be. As a result I would suggest consideration of modifying or removing the suggestion that "agreement with what is posted here" is in some way a condition for joining, HANA. I do think however that in order to be considered as a voice of reason in the discussion; rather than just a small and yet collective group of loud mouthed whiners and complainers, the Association consider the adoption of some kind of platform that represents a consensus opinion on important issues associated with the industry. This way the Association will be seen as contemplative and deliberative in offering well reasoned ideas for solutions, rather than just as a vehicle for voicing opposition or complaints to industry regulations or practices. Adopting a platform will be one of the best ways to present ideas on important issues to other industry participants in a way that will allow them to better understand the rationale of the horseplayer(s) in arriving at their suggested industry solutions, and the importance of the impact the suggested solutions could have on the overall industry. Some suggested industry solutions can often be perceived to benefit one group, to the detriment or exclusion of another. As a result, I think it will also be important not only to point out within the platform planks, not only how a concept or idea benefits one group, but how the perception of its detriment to another industry constituency may be over-stated, and how the perceived detriment can actually be diminished or dismissed, as well as how the entire industry can collectively benefit, far beyond those believed to be the primary or sole direct beneficiary of any proposed industry change. The underlying issue that serves to do more damage to the industry as a whole seems to me to be selfishness and greed. 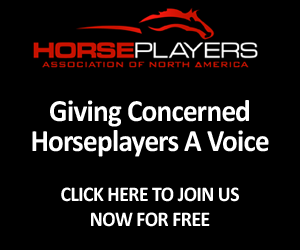 In craftng a platform of recommended industry solutions to horseplayer concerns any proposed changes will need to not only reflect the primary concerns of the player, but also the collective benefit to the industry. Otherwise, HANA will just be another special interest segment that could serve to further divide the industry, rather than to help it grow and prosper. Common sense will need to try to find a way to prevail, not just in this industry, but in a world in which it has continued to become far less common. I support the idea and concept of HANA in theory, but if it just becomes a forum for whining and complaints without offering real solutions and practical ways to implement them, than I am afraid it may instead just do more harm than good. I just wanted to to say thank you for the very well articulated comments, I think you've hit the nail on the head on several key points. I wanted to highlight one point again, as I believe it's so absolutely critical. I hope soon HANA can present some proactive model agreements for the horsemen/track/ADW stalemate, and it should live up to the below standards. We must offer implementable solutions, with honest discussion of the costs and benefits for all, with full explanation of why we believe it is better than the various industry models offered up to date. 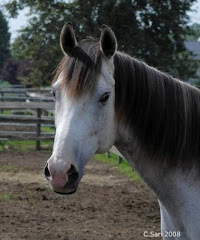 "Adopting a platform will be one of the best ways to present ideas on important issues to other industry participants in a way that will allow them to better understand the rationale of the horseplayer(s) in arriving at their suggested industry solutions, and the importance of the impact the suggested solutions could have on the overall industry. Some suggested industry solutions can often be perceived to benefit one group, to the detriment or exclusion of another. As a result, I think it will also be important not only to point out within the platform planks, not only how a concept or idea benefits one group, but how the perception of its detriment to another industry constituency may be over-stated, and how the perceived detriment can actually be diminished or dismissed, as well as how the entire industry can collectively benefit, far beyond those believed to be the primary or sole direct beneficiary of any proposed industry change." Some very excellent points there. 40% Takeouts. Live and Learn. "It's Not a Big Deal"
ADW in 2008, Stagecoaches in 1888?